Reaching the beach: 201 miles, 18 people, 3 vans, 2 teams, 1 insane adventure. This past weekend (well, Friday and Saturday) I participated in my very first long-distance overnight team relay. These races have become quite popular, and now there is one nearly every week in a different part of the US. 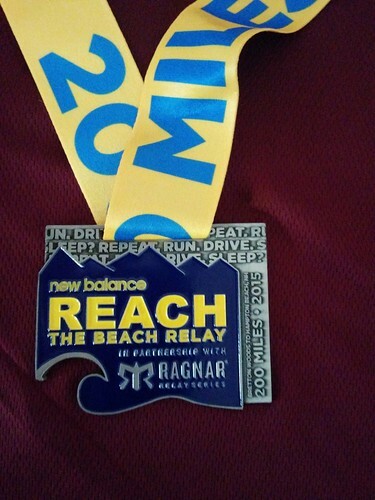 I was invited to join a group of friends from an online running forum (some who I'd met in person before, most of whom I hadn't) to run Reach the Beach, a 201-mile relay across New Hampshire from Bretton Woods ski resort to Hampton Beach.